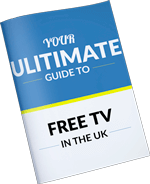 If you want to know more about TV aerial & satellite sockets & wall plates. This is the blog for you. I will discuss all the different antenna wall plate types so you can pick the right one for your installation. There are lots of different types for TV/ Radio & satellite which each serve their own purpose so without further ado, let’s begin. The most common TV aerial socket type that most people will be familiar with is the Coax IEC socket. This type of outlet is most common for TV aerial connections, but is also commonly used for FM radio. To connect to this wall plate you will need a flying lead or cable with a coaxial IEC plug on the end of it, what type of coaxial cable plug you need depends on whether the wall plate has a male or female connection on it. Although this is most commonly used for TV and FM radio. It can also be used for DAB radio & satellite providing that the wall plate is DC passing. I will come onto this later on. Overwhelmingly the most common type of coaxial wall plate will be a female type. To connect into this you will need a cable with a male coax plug attached to the end. Again, this is the coax plug that most people are familiar with. The opposite of the female socket is the male socket for obvious reasons. If you have a male socket you will need either a cable with a female plug fitted to it or a male plug with a coaxial coupler fitted into it. This will provide you with a female connection. It is also common to purchase RF leads that have a female connection on one end and a male in another. These are usually fitted for looping in and out of equipment which is common where you have a Freeview recorder, like a BT Vision box and a loop back up to your digital TV. I personally don’t tend to fit male wall plates unless I am installing some sort of video playback system like a Sky playback system with the magic eyes. This is so that when someone is connecting up the system it can clearly be seen which termination is which. If you have the choice between buying screened and unscreened sockets always choose the former. A screened socket means that the cable termination is with a metal housing. The metal housing that the coax cable termination is inside helps stop RF leakage and signal loss, as well as protecting against impulse noise and EMI/ RF interference which can cause the TV picture to pixelate. As the connection itself is surrounded by a metal housing it also tends to make for a far more secure connection which is less likely to wobble, fallout and break. When installing screened sockets you tend to need a deeper back-box than you would otherwise need with a unscreened model. Most screened outlets will need at least a 25mm back-box, ideally slightly more to fit the cable and termination comfortably inside. If this means having to chase in or fit a deeper surface back-box I strongly recommend doing so. The opposite of a screened socket will be an unscreened socket. This is where the cable termination is open the elements and not surrounded by a metal housing. This will cause excessive signal loss and act as a weak point in your TV system where interference could penetrate your coaxial TV cable and cause TV signal loss. Most wall plates you purchase actually will be un-screened models particularly cheaper versions. As most people when they re-wire their homes tend to install mains electrical points and TV sockets that match, and I understand why. This means that the TV wall jacks that have been installed are not actually installed by a reputable aerial/ satellite manufacturer that specialises in such a thing. This is especially common with brushed steel/ chrome sockets etc. I recommend in these situations to either fit aerial/ satellite sockets that do not match your electrical points, even white sockets are rarely the same or install a modular surround that matches your wall plates and a high quality Euro module. I will get on these later on in the blog. Although unscreened wall plates will fit in a shallower back-box, they are also more prone to giving a loose connection, wobbling, falling out and breaking. Isolated wall plates are nearly always unscreened, I don’t know why there are not many screened versions even from the reputable aerial and satellite manufacturers. So you may be wondering why would you fit a“isolated” wall plate? The answer to this is for electrical safety. These are primarily installed on communal TV systems to provide electrical isolation between different flats and apartments. What isolated wall-plates do is stop a DC voltage passing through from one side of the wall-plate to the other via an internal resistor(s). Admittedly these are not as commonly installed as they used to be as most communal TV systems are earthed meaning that these are no longer needed for electrical safety. We still stock them for when we are working on communal systems have not been earthed. As isolated plates do not allow a DC voltage to pass through them this makes them unsuitable for systems where line power in present. Like connections to satellite LNB’s, to line amplifiers/ masthead amplifiers and for connections where Sky remote eyes have been fitted. If you have any of these types of connections, you must switch the wall plate for an un-isolated one for it to work. An F wall socket is the screw on threaded type connection that you will find on the rear of your satellite receiver and LNB. Like all other types of connection, you have a male and female connections. The wall-plates are always female for a male plug to be inserted into it, it wouldn’t make sense manufacturing or installing female F sockets. F type sockets are almost exclusively used for satellite plugs & connections, like for your Sky & Freesat boxes and for DAB radio. F type outlets can be used for TV aerial connections also and this isn’t necessarily a bad thing to do as in my opinion the F connection is far superior to the IEC coax connection. You may not want to do this however as this can cause confusion as to what signals the socket provides. You may end up with someone trying to connect the TV aerial F plate to their satellite receiver and wondering why it doesn’t work. F type outlets should always be not isolated so that a DC voltage is allowed to pass through from the satellite set top box to power the LNB. Believe it or not there are actually some F wall sockets that are isolated, these are usually relics from the past but bare in mind if you have one. These would be useless for satellite connections. A diplexed wall-plate is a twin TV outlet that provides two different types on connection with only a single coaxial cable input. As there is only one cable input this means that there must be a signal combiner or diplexer further up the system that is combining two different signals together. The most common type of diplexed wall-plate is a TV/ FM or TV/Radio wall plate. The different between the two is that the radio type often allows DAB to pass through as well as this uses a higher frequency than FM signals. The advantage of using diplexed, triplexed and quadplexed wall-plates is that more signals can be distributed through a system without the need for extra cabling or to reduce the amount of cabling required. Obviously, this can save on installation costs and installation time as less cables need to be installed. A further extension on the combined type wall plates is a Triplexed wall plate. A Triplexed socket has separate connections for three different signals. These have a single cable input so again there has to be a combination of three different signal types. These are usually TV Aerial, Radio & satellite. To combine the signals a triplexer could be used or a multi-switch amplifier which is most common on communal TV systems. Please note that although this type of wall-plate is compatible for most satellite systems using a universal LNB, like Freesat &normal Sky. It is not compatible with a Sky Q wideband LNB. To use with Sky Q you will need to use a dSCR LNB or dSCR multi-switch amplifier and set the Sky Q box LNB settings to SCR mode. A Quadplexed socket is essentially a triplexed socket but with an extra connection for satellite so that recording satellite PVR’s can be connected like Sky+ & Freesat+ boxes. A quadplexed has two cable inputs,these are usually for the use with multi-switch amplifiers but you could use them with a cable that feeds input 1 of the wall-plate being fed from a triplexer or quadplexer which combines TV, radio & one satellite cable and the second cable that feeds input 2 of the wall plate coming direct from the satellite LNB. Again, this type of wall plate is not compatible with a Sky Q LNB. To be able to use it you would need to install/ convert the Sky Q signal into a dSCR signal and set the Sky Q box to SCR mode. Only a single satellite connection to the Sky Q box is required for this no second feed is needed. Another helpful and flexible solutions is the modular type wall plates, often called Euro-modules or something similar. These are clickable inserts that are installed into a surround. These come in IEC, F, triplexed & quadplexed among other types. You can also get 1 gang and two gang versions for up to 4 modules. I would usually use these where I have to terminate more than one coaxial cable. When purchasing modular coaxial inserts I strongly recommend purchasing screened versions of these where the termination is within a metal enclosure. You may require a deeper back box but the screening will help minimise RF leakage and maintain the integrity of the cable screen. Modular inserts are also very helpful where you need to terminate other types of cabling other than just coaxial cables. Like Cat5/Cat6 or telephone cabling for example. As these can simply be clicked next to your existing connections. I have added this in as often these can provide a single solution to multiple cable terminations. A common example of a multi-service wall-plate is a single two gang wall plate, with a quadplexed section and return aerial socket to connect further TV’s to and a telephone/ Ethernet connection. I have added this hear also as you can get dual wall plates that are used to terminated two coaxial cables into a single outlet. These come in a variety of types like F & F, Coax & F etc. Personally I don’t use these types of plates and I would just use modular inserts & surrounds to achieve the same result. The last type of wall plate I’m going to mention is unique as it doesn’t fit inside a standard back box. A single surface outlet box comes in both coaxial & F types and is a small discreet cable termination which is usually used for terminating coaxial cables onto windowsills. Although I wouldn’t recommend these as I have yet to find a screened version, I do keep them on the van for when I absolutely need them. These are most commonly installed on old buildings where new cables can’t be brought through the brickwork and it makes for a nice neat termination. If you have any questions about TV aerial & satellite wall plates please feel free to post them in the blog comment section below. If you require a video demonstration showing you how to install TV/Sat sockets please do check out our Youtube channel & the DIY video section of this website. Please do not call our telephone lines if you only have a question, no one is here that can help you and we do not offer free advice over the phone. These are reserved for customers only. Please also be aware that we do not sell parts so you will need to go elsewhere to purchase them. Please do not post your question on over e-mail or on our website contact forms as again these are reserved for customers only, you will either not receive a response or you will receive a response asking you to post the comment in the blog comment section of the blog. This also helps people reading the blog to see the questions that have been asked and the answers given. That being said I will try to help where I can.